After a blockbuster launch in Mumbai's Bandra area, Shweta Bachchan Nanda's very own label, MxS World, has finally blessed us Delhi folks with a glamorous store in DLF Emporio, Vasant Kunj. This is the first time Shweta has forayed into fashion and with her favourite designer, Monisha Jaising, by her side we see MxS ruling our party nights stylishly. In an exclusive interview with the two, we asked them everything not just about their new brand but also about their personal style. And the humble women that they are, Shweta and Monisha answered all our questions as if discussing the events of the day over marshmallows and candy. 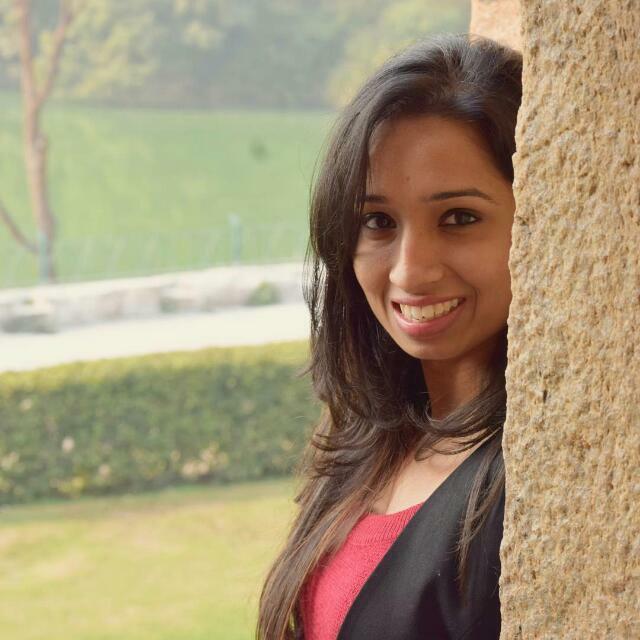 Here are some interesting stories, as told by Shweta and Monisha, that you ought to know. Q. How did you come up with the idea of MxS? Monisha: "It was a common friend's 50th birthday and the theme of the party was 'Shimmer and Shine'. Shweta wanted to make something special and she came to me with a vision in her mind. So, I made this amazing garment made for her, and when she wore it she got a lot of compliments. She was dressed so comfortably, and yet the most glamorous one at the party. A couple of weeks later, she came to me with the idea of starting a new capsule collection. But we decided to do something more solid like creating a new brand, and so, MxS was born." Q. How is this prêt label different from other affordable luxury brands? Shweta: "We believe that fashion is for all and therefore this label caters to women of all ages and all body types. Even when we did our campaign, I was wearing similar designs to what my daughter was. It is not unusual for young teenage girls to go into their mother’s closet and borrow something special for an occasion. With that at the back of our minds, we designed a collection that is fluid in a fun and wearable space. When you own an MxS item you can lend it to your daughter or borrow one from her. The freedom and choice are entirely yours." Q. How much of the collection is inspired by Navya's personal style given that she's your muse for MxS? Shweta: "Navya isn't our muse. Every girl and woman is our muse. She just happened to be a free model for us so we have taken advantage of that and used her for our campaign." Q. Do you think the LBD is still a classic? Shweta: "Everyone should have a little black dress in their closet. You never know when it can come in handy. So, I don't think anyone should be ditching the LBD." Q. What's your personal style like? Your go-to outfit for an evening with friends? Monisha: "I'm quite a lazy person (a confession Shweta too agrees to). But when I see Shweta, I can connect with her style because she prefers comfort more than anything else and that's my own personal style as well. This is another reason why MxS works because we're in sync with each other." Shweta: "It's all about comfort, ease, and versatility. I should be able to wear something in the day and go into the night wearing the same thing. When we were designing the collection, we wanted clothes that a woman didn't have to keep changing - just dress them up and dress them down. We're both people who like to be comfortable. You won't see us in stilettos dodging around, we're not those people." Shweta and Monisha also picked out their favourite outfits for us. What do you think - crush or crash? Buy Shweta's favourite Sophia Dress (Rs 39,999) by MxS here. 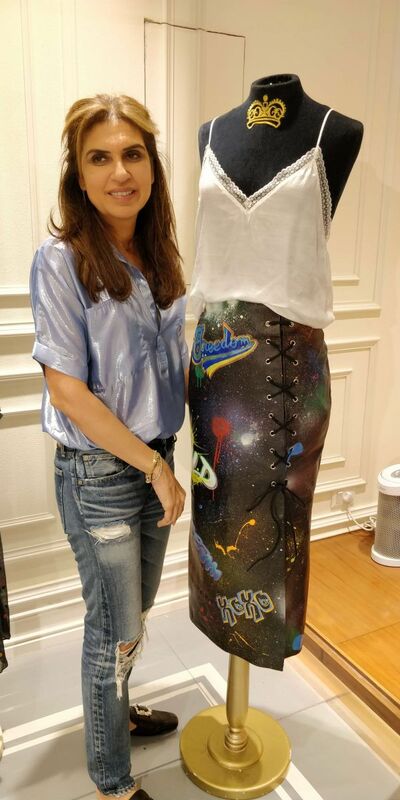 Buy Monisha's favourite Graffiti Skirt (Rs 34,999) by MxS here. With the theory - Indian women are largely reliant on foreign brands for luxury prêt clothes. We wanted to present the Indian woman with an option. Designs with the quality and aesthetics of foreign brands but made at home - this Monisha x Shweta collab is for everyone. Make your way to the store already, ladies.